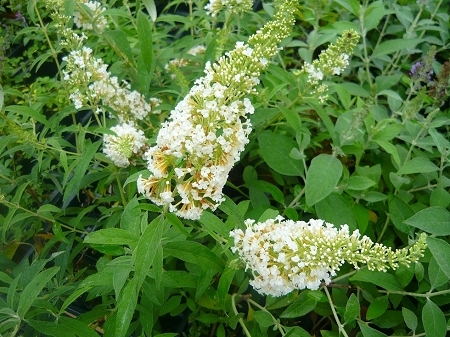 White Profusion Butterfly Bush (Buddleia Davidii)- Large panicles of snow white flowers adorn this outstanding ornamental from Spring through Fall. Attracts butterflies to the garden. Carefree and drought resistant bush can grow to 8'. Easy to grow perennial zones 5-11. Live plant in 3 inch container.